They may be covered in spikes but they are not as hardy as you might think. Hedgehogs suffer from a wide variety of illnesses and can be difficult to treat. Hedgehogs are very delicate creatures. They have a wide range of illness and injuries which they suffer from. One of the most common is slug pellet poisoning. If found early enough then they can be treated, but many are lost. Look for the green staining round their lips. Hedgehogs are frequently caught by strimmers and end up with nasty head wounds which can easily become infected and fly blown as a result. Dog attacked hedgehogs don’t always end up being as damaged as they look as sometimes the blood is actually from the dogs mouth and not from the hedgehog. We also see numerous road casualties. It is amazing how fast a hedgehog can run when it wants to, but late at night some people just can’t resist running over whatever they get a chance to. If you find an injured hedgehog pick it up using a cloth or gardening gloves and place it in pet carrier or box lined with ideally a white cloth or tissue paper, and then call for help. Do not leave the hedgehog outside, in your shed, garage or outside toilet, bring it inside where it will benefit from a bit of warmth. Most people are worried about the fleas, but they can not survive on cats, dogs or any other pet nor ourselves. DO NOT FEED HEDGEHOGS BREAD AND MILK. This is dangerous for their digestive system and can cause weak hedgehogs to die. At this time of year we are frequently called to young hedgehogs being found. They should not be found out during the daytime, but many youngsters are seen during the evening and night with their mum. The most common concern is whether the young are going to be able to put on enough weight to survive hibernation. This is a difficult questions to answer at this time. As a general rule if they are with their mum at night and they look healthy and mum is taking care of them then leave them alone regardless of their weight. However if there are complications of any sort it MAY after seeking advice be necessary to pick up mum and all her youngsters and bring them in to a rescue centre where they can be looked after until they weigh enough to be released back into the wild. If the youngsters are at an age when they could be suckling from mum, them it is important that mum if picked up with the young so that she can continue to feed the young. The hedgehog carer which takes them on will place the family into a large hutch and run and place in food for mum so that the young can naturally suckle from mum still, rather than the carer trying to replicate this suckling with artificial milk replacers. It is unclear how may hedgehogs and other wildlife is killed in bonfires each year, mainly because they rarely get found afterwards. 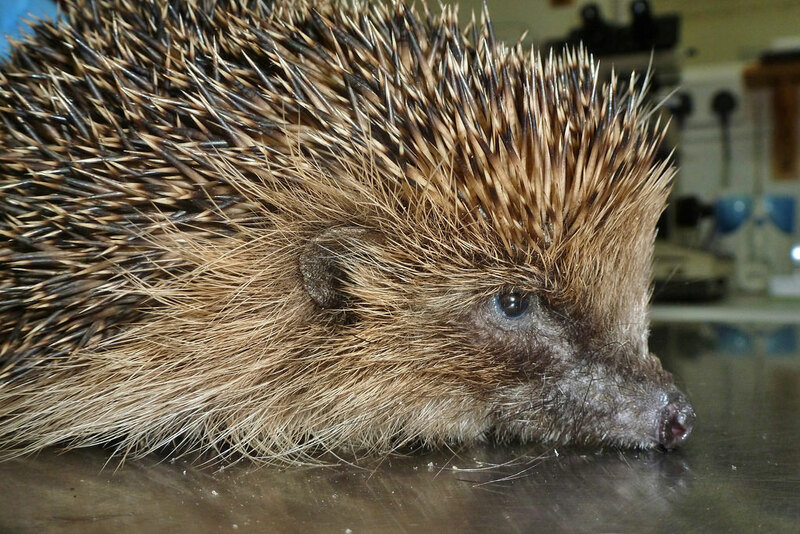 Numerous people have unfortunately had their bonfire celebrations ruined after finding escaping hedgehogs and other wildlife crawling out from bonfires burnt or injured.